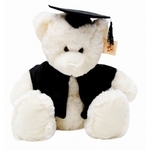 25cm Graduation Bear Smarty Pants Biggest Brother | Graduation Bears and Gifts at discount prices! This gorgeous chap is the biggest brother to the Smarty Pants Baby Brother. 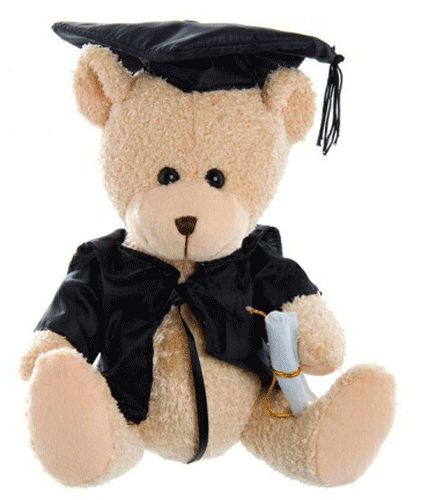 He is a light brown colour and wears a black satin graduation cap with black tassel and a black satin graduation cape. In his paw he holds a white felt graduation certificate. Measurements: Sitting 25cm from head to bottom.